The inspiration and meaning of “Studio Life Art”. “Studio”= a place to meet and create. “Life” who we are and how we wish to be defined. “Art” the expression of human creative skill and imagination, producing works to be appreciated for their own emotional power. Studio Life Art is a wonderful place in the community where people of all ages can come to share their passion for the arts. The arts openly teach us that we are natural sources of innovation and that we can contribute to our Community just by discovering what we create best, then doing it. We believe the arts are essential to our progress as a Community and it is a way to knowing our power to innovate, transform and evolve. Supporting the arts is like rallying for all things good in the world because creativity and innovation are the sources from which ideas come, including those that seemingly have nothing to do with the arts. Studio Life Art supports its local community, and proudly donates back to many philanthropic causes and charities. Approximately 40% of our private events are Fundraising Events including Relay 4 Life, Fall River Town House Club House, Durfee High School Sports, Fall River Aquarium and Exploration Center, Boston Marathon, Martha Briggs Scholarship Fund, Scholarship Fundraiser for Johnson and Wales University, ALS Massachusetts Chapter, New England Coastal Wildlife Foundation, Journey Church and many other schools, charities and organizations. 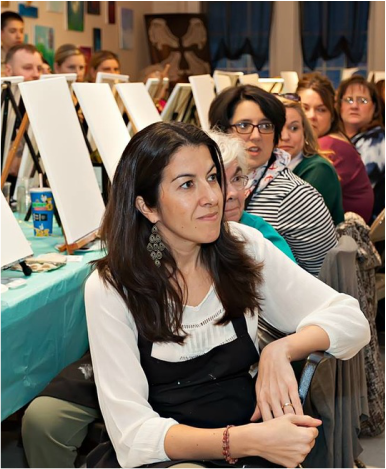 Our other private events include canvas painting for Birthdays, Family Reunions, Girls Night Out, Parents Night Out, Creative Kids Events, Teen Events, Couples Night, Family paint events, Team Building Events or just because. Right now we are open mostly on Friday from 5pm-10pm, Saturday 11am-10pm, Sunday 11am-9pm and Monday 5pm-9pm. I welcome you to check out our Facebook page to read about the wonderful things our guest have been saying about us. ​We’ve also been featured in the Herald News and Standard Times and recognized as the best art studio in 2014, 2015 and 2016.